West African schoolgirls, some not yet teenagers, have taken a starring role at an engineering competition in Senegal, busting stereotypes with robotics expertise and innovative projects for their communities. 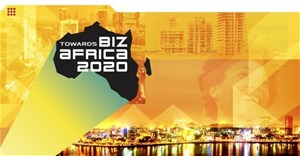 The Pan-African Robotics competition (PARC) in the Senegalese capital Dakar on Saturday, 20 May, reflects the growing consciousness of science education as a top priority for a government growing the economy and getting development off the ground. 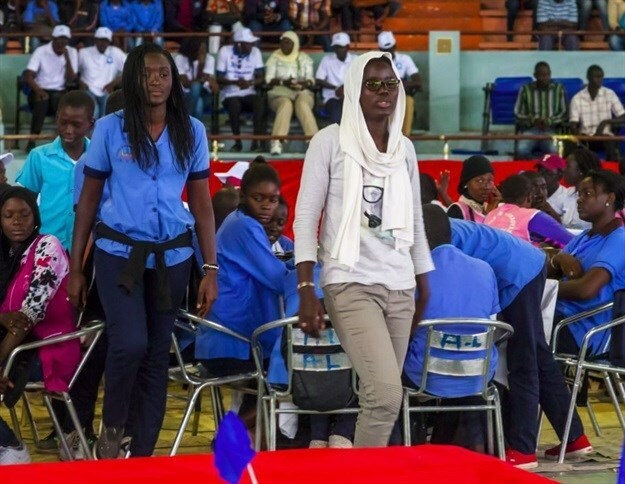 Rows of young women from Senegal, The Gambia and Mali distinct in their various uniforms - blue headscarves, black pinafores and white polo shirts - screamed for their teams as robots picked up plastic cones and dropped them onto markers, all adamant they would win. Senegal's Mariama-Ba all-girls academy won the high school category for a "made in Africa" pump solution to flooding, and girls were well represented in the winning 11-15 age group on Saturday after showing off their robotics skills. "Our generation is definitely the one," said Umu Tarawally, a 14-year-old Gambian who aspires to be a doctor and patiently explained to an assembled audience of dignitaries how groundnut shells could be converted into fuel. Her friends, she added, were telling her they want to become engineers following a week of robot and tech workshops. Resembling a cross between the TV show Robot Wars and a TEDx ideas conference, Saturday's competition is the brainchild of Sidy Ndao, an engineering professor at the University of Nebraska-Lincoln who left Senegal for the United States as a teenager. "(It) inspires the kids to like science, inspires them to be future engineers and scientists," the founder said, but the World Bank-funded event now in its second year places a special importance on girls. Saturday's event organised by Ndao's SENEcole project attracted 250 children, boys and girls, aged between 11 and 19. "There's not a lot of them, but when there are they are typically top of the class," he said of girls studying Science, Technology, Engineering and Mathematics (STEM) subjects. "In order for any country to be sustainably developed, you have to really work on science and engineering," he added, but Senegal's brightest minds tend to undertake studies abroad lured by hopes of higher salaries and better lifestyles. Senegal is trying to open the sector by backing girls' coding clubs and maths teaching in schools, while a technology hub is being constructed near the capital for research and training as part of broader efforts to fill domestic skills shortages. "As Senegal wants to become an emerging nation, we have to master the sciences, technology, engineering sciences and maths so we have the expertise to manage our own natural resources and also to create the innovations to construct our future," said Mary Teuw Niane, Senegal's minister of higher education and research. A flood of new engineers would be timely, with Senegal on the cusp of a potential oil and gas boom from important deposits being found regularly off its coast. Ndao emphasised the need to keep the costs of science and technology resources for schools down in a country where electricity and water, let alone computers, are often lacking in rural areas. A shortage of qualified science teachers is also a huge problem, the government has admitted. Just over half of Senegal's children complete school, and traditional expectations remain entrenched that girls should be content taking care of domestic duties, especially in poor families. A focus on science, said Ndao, would "solve the cycle of problems in Africa", where natural resources are still largely controlled by foreign firms, shipped abroad for processing and therefore stripped of a large amount of their value for the population living where the oil, gold or diamonds are taken. For Aminata Ndiaye, 15, battling machines in a Senegalese stadium was a foundation of something much larger as she scooped the prize with her school in the northern city of Saint-Louis.